This car was owned by Jason Alexander, a former co-worker. Jason used it in autocross racing and drag racing. 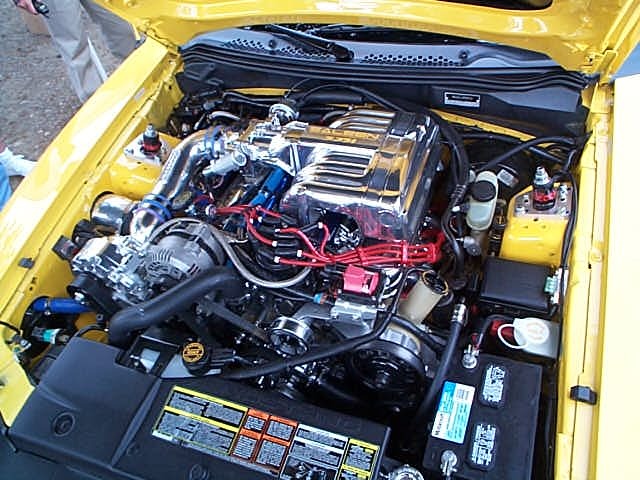 I was involved in upgrading the fuel system to support the 480hp engine. 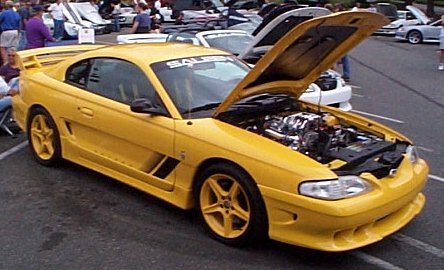 Unfortunately, Saleen did not make the needed improvements to the fuel system to handle the engine they installed. 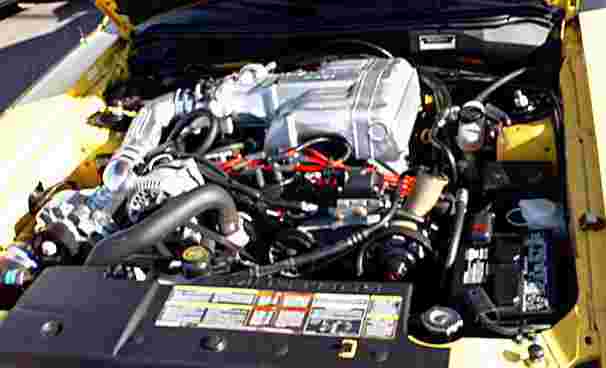 Visit Saleen's web site for additional information on this car. Saleen did however, do a fantastic job on the suspension and brakes. I have never been in a car that handled or stopped as good as this Saleen. Jason has since sold the car to David Boucher. David now has a 408 SVO stroker in it. Installation of a 190lph in-tank fuel pump. Recalibrating the fuel management unit to allow the proper fuel pressure during full boost. This is done to give the engine the proper air fuel ratio during boost.